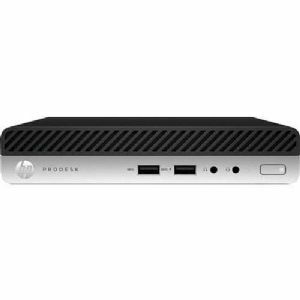 Make each work day productive with the HP ProDesk 400 G3 Desktop Mini PC. It is built to fulfill all business related tasks. Enjoy a seamless system performance with the power provided by the Intel Core i3-6100T Dual-core processor which maximizes your desktop's ability to manage complex tasks in a great speed of 3.2GHz. Together with a 4GB of DDR4 SDRAM, it makes multitasking possible by reducing lags and other incompatibilities during usage. In addition to this is a storage amounting to 256GB Opal2 SATA SED SSD which yields a fast boot-up and app launch time, as well as enough space for data and files. 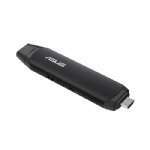 Aside from what has been mentioned, it also includes six USB ports for seamless data transfer connectivity. Take productivity up a notch with the ability to do more with the Windows 10 Pro 64-bit operating system. Do not think twice and purchase the HP ProDesk 400 G3 Desktop Mini PC now!